Due to the very heavy rainfall forecasted for Saturday, the City of Spartanburg has cancelled the International Festival at Barnet Park. It is the first time the festival has been cancelled in what was to be its 30th year. The combination of a low-pressure front and the arrival of Hurricane Joaquin off the Carolina coast has forecasters predicting a deluge of as much as 4.5 to 5 inches of rain, high winds and temperatures in the 50s for Saturday. Given those conditions, it will not be safe to hold the popular outdoor festival this Saturday, and the logistics involved with hundreds of vendors, performers and volunteers make it unfeasible to simply reschedule the festival. Visit the world...right here in Spartanburg! Long a hub of investment from businesses all over the globe, Spartanburg is truly an international city, with residents from more than 75 countries and more than 100 international businesses. To celebrate Spartanburg's global appeal and its corresponding diversity the City of Spartanburg hosted its first International Festival in 1985. Today that festival has grown to become one of our city's most popular, with more than 12, 000 people descending on Barnet Park annually to celebrate and explore world cultures through food, music, dance, folk art, and much more. 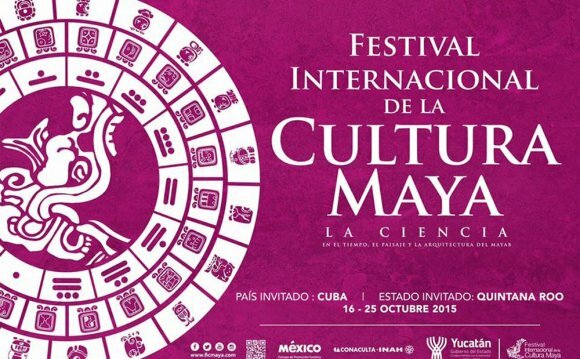 For 2015, the International Festival's 30th anniversary, our honored country is Mexico! International Festival hours, Saturday, Oct. 3, 11 a.m. - 7 p.m.
All food & beverages are purchased with tickets. Three ticket booths are located along the International Boulevard of Food, on Converse Street beside the park. A few booths will also be located inside the park in the food vendor area beside Converse Street. Each ticket costs $1. Tickets are non-refundable, so please purchase them wisely. Restrooms are located at the bottom of the hill on the left hand side of the park, and in the Pavilion on the right side of the park. Additional portable bathrooms are located throughout the festival area. Alcoholic Beverages: How do you have a German Bratwurst without a "bier" to go with it? You can buy a beer right beside the food booth from Germany. Brand new for this year, visit our Mexican Cantina in the Chapman Cultural Center parking lot. You can buy beer, wine, and margaritas (wine-based)! There will be daylong entertainment in the Cantina as well. Anyone wishing to purchase an alcoholic beverage must be 21 years of age or older, present a valid ID, and purchase a $1 wristband. Beer and wine are both available to purchase. They must be purchased with festival coupons. First Aid: Mary Black Healthcare System will be under the red tent inside the park next to the pavilion. There will also be EMS Bicycle units riding throughout the festival area. Lost and Found: Located at the tent in the Chapman Cultural Center parking lot that also serves as Volunteer Check-In.